What is the highest Alarm level of MAX SHRED you completed? ARE YOU LOOKING FOR A TOTAL BODY SPLIT WORKOUT? ARE YOU IN THE MILITARY OR A FIRST RESPONDER, OR PREPARING TO ENTER THE MILITARY? I have never trained before. Based on your program history, you are not a beginner. I have some experience training and can perform most exercises correctly. I have trained regularly for at least one year. I have trained consistently for years and have seen increases in strength and proficiency. I can or have performed at the highest levels. I have no equipment and cannot get access to any. I have, or can get some dumbells or a barbell and a pullup bar. I have access to a barbell, dumbells and a pullup bar or have a membership at a commercial gym. HOW MANY PUSH UPS CAN YOU DO IN A SINGLE SET? HOW MANY PULL UPS CAN YOU DO IN A SINGLE SET? 21-23% – Some muscle definition. More curves in legs and buttocks. HOW WOULD YOU LIKE TO FOCUS YOUR TRAINING? Move the left or right to personalize your training focus. WHICH SUPPLEMENTS ARE YOU TAKING? Based on your answers we recommend Inferno MaxShred at the 1 Alarm Level. MaxShred features workouts that are specially designed to boost your metabolism and help you achieve maximum fat loss. There are also plenty of workouts that feature classic exercises to help you build a foundation of strength training and overall athleticism. 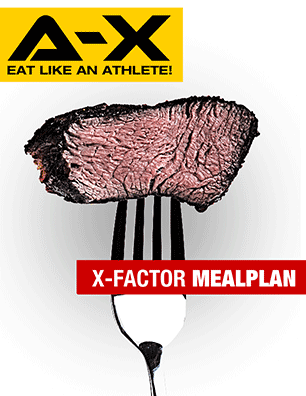 The Shred options in our included X-Factor Meal Plan will help you to prioritize fat loss. Based on your answers we recommend you check out the free videos on our YouTube channel. The 'playlist' will help you to start building a base level of fitness so that you can move onto one of our training programs when you're ready. Once you are able to perform 10 push ups consecutively in good form you should be ready for one of our introductory programs. Based on your answer we recommend Inferno MaxSize. As a beginner, MaxSize is the perfect program to get you started on your training journey. Designed for maximum muscle mass, MaxSize features plenty of opportunities for a beginner to learn and master the basic strength training moves to help you build a foundation of size and strength. Great for beginners, or even advanced athletes. 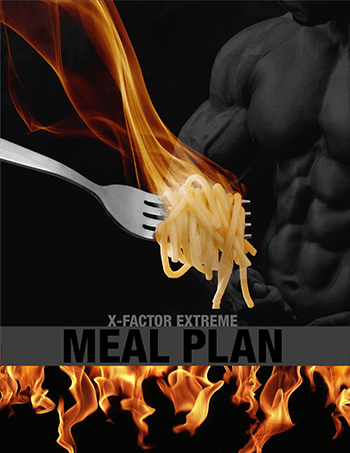 The Extreme options in our included X-Factor Meal Plan will help you to prioritize gaining size. Based on your answers we recommend Inferno MaxShred at the 2 Alarm Level. As a novice athlete this level will allow you to make progress while still challenging you. MaxShred features workouts that are specially designed to boost your metabolism and help you achieve maximum fat loss. There are also plenty of workouts that feature classic exercises to help you build a foundation of strength training and overall athleticism. 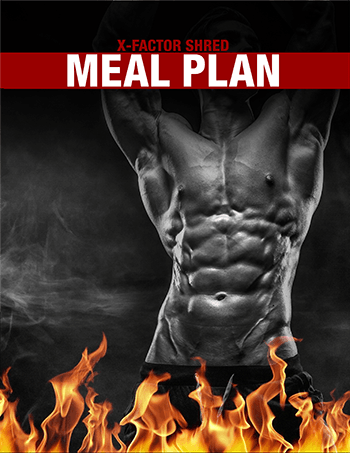 The Shred options in our included X-Factor Meal Plan will help you to prioritize fat loss. Based on your answer we recommend you repeat Inferno MaxShred, only this time at the next Alarm Level. You've indicated that you've already completed the program but still feel as though you are a novice. Repeating MaxShred at a higher level will challenge you while still being within your current level of abilities. Since MaxShred was designed for fat loss it will continue to move you toward your goal of torching your remaining unwanted bodyfat. Make sure to follow the Meal Plan to get maximum benefits. Based on your answers we recommend AX-1 Training Camp. As a novice AX-1 is a great introduction to ATHLEAN Training and will help you develop a solid foundation of strength, conditioning and athleticism while adding lean body mass. By using 3 Shred Swaps from the included X-Factor Meal Plan you will be able to greatly prioritize fat loss. Based on your answer we recommend you repeat Inferno MaxShred, only this time at the next Alarm Level. You've indicated that you've already completed the program but still feel as though you are a novice. Repeating MaxShred at a higher level will challenge you while still being within your current level of abilities. Since MaxShred was designed for fat loss it will continue to move you toward your goal of of torching your remaining unwanted bodyfat. Based on your answers we recommend AX-1 Training Camp. As a novice, AX-1 provides a great introduction to ATHLEAN Training. AX-1 will help you develop a solid foundation of strength and athleticism. There are also plenty of fat burning workouts to help you boost your metabolism and torch unwanted fat. By using 2 Shred Swaps from the included X-Factor Meal Plan you will be able to prioritize fat loss. Based on your answers we recommend AX-1 Training Camp with a TNT plug in. Having completed AX-1 and still considering yourself a novice, it is recommended that you repeat AX-1, this time adding in a TNT. By increasing the difficulty level through TNT you will continue to receive a training stimulus which will help you to make gains in your desired muscle groups. By using 2 Shred Swaps from the included X-Factor Meal Plan you will be able to greatly prioritize fat loss. Based on your answers we recommend AX-1 Training Camp. As a novice, AX-1 provides a great introduction to ATHLEAN Training. 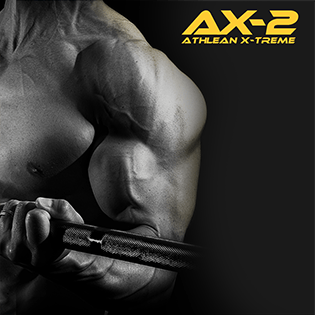 AX-1 will help you develop a solid foundation of strength, lean muscle mass and athleticism. By using 1 Shred Swap from the included X-Factor Meal Plan you will be able to continue to build muscle while still putting an emphasis on fat loss. Based on your answers we recommend AX-1 Training Camp with a TNT plug in. Having completed AX-1 and still considering yourself a novice, it is recommended that you repeat AX-1, this time adding in a TNT. By increasing the difficulty level through TNT you will continue to receive a training stimulus which will help you to make gains in your desired muscle groups. By using 1 Shred Swap from the included X-Factor Meal Plan you will be able to put an emphasis on fat loss. Based on your answers we recommend AX-1 Training Camp. As a novice, AX-1 provides a great introduction to ATHLEAN Training. AX-1 will help you develop a solid foundation of strength, lean muscle mass, conditioning and athleticism while allowing you to build muscle and burn fat at the same time. Based on your answers we recommend AX-1 Training Camp with a TNT plug in. Having completed AX-1 and still considering yourself a novice, it is recommended that you repeat AX-1, this time adding in a TNT. By increasing the difficulty level through TNT you will continue to receive a training stimulus which will help you to advance your overall ability so you feel more comfortable going into some of our advanced training programs. Based on your answers we recommend AX-1 Training Camp. As a novice, AX-1 provides a great introduction to ATHLEAN Training. AX-1 will help you develop a solid foundation of strength and athleticism. AX-1 features plenty of strength focused workouts, giving you the option to go as heavy as you can handle to get the most muscle building effect. By using 1 Extreme Swap from the included X-Factor Meal Plan you will be able to stay lean while still putting an emphasis on muscle building. Based on your answers we recommend AX-1 Training Camp with a TNT plug in. Having completed AX-1 and still considering yourself a novice, it is recommended that you repeat AX-1, this time adding in a TNT. By increasing the difficulty level through TNT you will continue to receive a training stimulus which will help you to make gains in your desired muscle groups. By using 1 Extreme Swap from the included X-Factor Meal Plan you will be able to prioritize muscle growth. Based on your answers we recommend AX-1 Training Camp. As a novice, AX-1 provides a great introduction to ATHLEAN Training, AX-1 will help you develop a solid foundation of strength and athleticism. AX-1 features plenty of strength focused workouts, giving you the option to go as heavy as you can handle to get the most muscle building effect. By using 2 Extreme Swaps from the included X-Factor Meal Plan you will be able to continue to stay lean while still putting an emphasis on muscle building. Based on your answers we recommend AX-1 Training Camp with a TNT plug in. Having completed AX-1 and still considering yourself a novice, it is recommended that you repeat AX-1, this time adding in a TNT. By increasing the difficulty level through TNT you will continue to receive a training stimulus which will help you to make gains in your desired muscle groups. By using 2 Extreme Swaps from the included X-Factor Meal Plan you will be able to greatly prioritize muscle growth. Based on your answer we recommend Inferno MaxSize. As a novice this will help you build upon your foundational strength and athleticism while prioritizing building muscle. MaxSize gives beginners the opportunity to master the classic lifts that build a foundation for adding lean muscle, but make no mistake this program is not easy! MaxSize will present you with many opportunities to push yourself. Based on your answers and the fact that you consider yourself a novice, we recommend AX-1 Training Camp with a TNT plug in. AX-1 will create a solid foundation of strength and athleticism, while TNT will help you make further gains in your desired muscle groups. 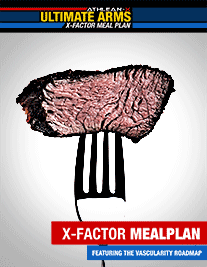 By using 3 Size Swaps from the included X-Factor Meal Plan you will be able to greatly prioritize muscle growth. Based on your answers we recommend Inferno MaxShred at the 3 Alarm Level. Written specifically for maximum fat loss, MaxShred is scalable from beginner to elite. 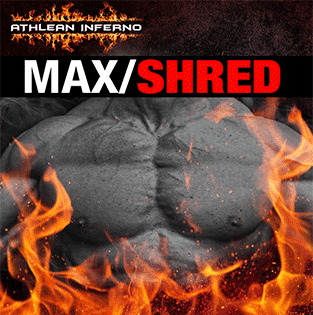 As an intermediate athlete, the 3 Alarm Level of MaxShred will challenge you while also prioritizing fat loss. Based on your answer we recommend Shockwave from our popular NXT series. As an intermediate athlete, Shockwave will present many opportunities to challenge you at your ability level while maintaining the focus on your goal of burning bodyfat. Based on your answer we recommend CoreMax EST from our popular NXT series. As an intermediate athlete, CoreMax will present many opportunities to challenge you at your ability level. CoreMax features plenty of conditioning workouts as well as strength training workouts designed to keep your heart rate and keep you focused on losing bodyfat. Based on your answer we recommend Lady Luck from our popular NXT series. As an intermediate athlete, Lady Luck will present many opportunities to challenge you at your ability level while maintaining the focus on your goal of burning bodyfat. Based on your answers we recommend AX-1 Training Camp with a TNT plug in. AX-1 will continue to build upon your fitness foundation while burning fat and building muscle at the same time. The TNT plug in will increase the intensity of the program and help you make further gains in your targeted muscle groups. By using 2 Shred Swaps from the included X-Factor Meal Plan you will be able to greatly prioritize fat loss. Based on your answers we recommend repeating AX-1 Training Camp while adding a TNT plug in. As an intermediate athlete, the TNT plug in will increase the intensity of the program to get you the best possible gains in your desired muscle groups. By using 2 Shred Swaps from the included X-Factor Meal Plan you will be able to greatly prioritize fat loss. Based on your answer we recommend AX-2 Xtreme. As an intermediate athlete AX-2 will present you with a physical challenge. AX-2 features plenty of fat burning workouts to help you get lean. By using 2 Shred Swaps from the included X-Factor Meal Plan you will be giving priority to losing bodyfat. Based on your answer we recommend Wolverine from our popular NXT series. As an intermediate athlete you can take advantage of one of our most popular training programs, Wolverine. Wolverine 'Beast Mode' delivers it all. Whether you're looking to lose fat, get stronger or get jacked, Wolverine features some of the best training for all of these goals. Based on your answer we recommend ATHLEAN NXT. As an intermediate athlete NXT will present you with a non-stop physical challenge. Comprised of some of our best strength training workouts, NXT will put you on the path to reaching your goals. Based on your answers we recommend AX-1 Training Camp with a TNT plug in. AX-1 will continue to build upon your fitness foundation while burning fat and building muscle at the same time. The TNT plug in will increase the intensity of the program and help you make further gains in your targeted muscle groups. By using 1 Shred Swap from the included X-Factor Meal Plan you will be able to greatly prioritize fat loss. Based on your answers we recommend repeating AX-1 Training Camp while adding a TNT plug in. As an intermediate athlete, the TNT plug in will increase the intensity of the program to get you the best possible gains in your desired muscle groups. By using 1 Shred Swaps from the included X-Factor Meal Plan you will be able to greatly prioritize fat loss. Based on your answer we recommend AX-2 Xtreme. As an intermediate athlete AX-2 will present you with a physical challenge. AX-2 features plenty of fat burning workouts to help you get lean. By using 1 Shred Swap from the included X-Factor Meal Plan you will be giving priority to losing bodyfat. Based on your answers we recommend AX-1 Training Camp with a TNT plug in. AX-1 will continue to build upon your fitness foundation while burning fat and building muscle at the same time. The TNT plug in will increase the intensity of the program and help you make further gains in your targeted muscle groups. Based on your answer we recommend AX-2 Xtreme. As an intermediate athlete AX-2 will present you with a physical challenge. AX-2 features plenty of strength training workouts to help you add size and strength. AX-2 also features regular conditioning workouts to help burn fat making it the perfect 1-2 combo of gaining lean mass while getting lean. Based on your answers we recommend AX-1 Training Camp with a TNT plug in. AX-1 will continue to build upon your fitness foundation while burning fat and building muscle at the same time. The TNT plug in will increase the intensity of the program and help you make further gains in your targeted muscle groups. By using 1 Size Swap from the included X-Factor Meal Plan you will be able to greatly prioritize fat loss. Based on your answers we recommend repeating AX-1 Training Camp while adding a TNT plug in. As an intermediate athlete, the TNT plug in will increase the intensity of the program to get you the best possible gains in your desired muscle groups. By using 1 Size Swaps from the included X-Factor Meal Plan you will be able to greatly prioritize fat loss. Based on your answer we recommend AX-2 Xtreme. As an intermediate athlete AX-2 will present you with a physical challenge. AX-2 features plenty of strength training workouts to help you add size and strength. By using 1 Extreme Swap from the included X-Factor Meal Plan you will be giving preference to gaining size. Based on your answers we recommend AX-1 Training Camp with a TNT plug in. AX-1 will continue to build upon your fitness foundation while burning fat and building muscle at the same time. The TNT plug in will increase the intensity of the program and help you make further gains in your targeted muscle groups. By using 2 Size Swaps from the included X-Factor Meal Plan you will be able to greatly prioritize fat loss. Based on your answers we recommend repeating AX-1 Training Camp while adding a TNT plug in. As an intermediate athlete, the TNT plug in will increase the intensity of the program to get you the best possible gains in your desired muscle groups. By using 2 Size Swaps from the included X-Factor Meal Plan you will be able to greatly prioritize fat loss. Based on your answer we recommend AX-2 Xtreme. As an intermediate athlete AX-2 will present you with a physical challenge. AX-2 features plenty of strength training workouts to help you add size and strength. By using 2 Extreme Swaps from the included X-Factor Meal Plan you will be even more focused on gaining size. Based on your answer we recommend you do Inferno MaxSize. As an intermediate athlete, MaxSize presents many opportunities to challenge your abilities while staying focused on your goal of gaining size. Based on your answer we recommend ATHLEAN NXT. As an intermediate athlete NXT will present you with a non-stop physical challenge. Comprised of some of our best strength training workouts, NXT will put you on the path to adding lean muscle. Based on your answer we recommend Ultimate Arms. Don't let the name fool you, Ultimate Arms is more than just a program for big arms! In fact, the included Apex Leg Training is some of the most intense training we offer. Ultimate Arms is a hidden jewel in the ATHLEAN-X Arsenal of programs and it doesn't come up short on results. As an intermediate athlete you are eligible to give Ultimate Arms a go and get the ultimate results. Based on your answer we recommend The 4 Horsemen. The 4 Horsemen was written to focus on the compound, multi-joint movements that have been the tried and true way to add muscle mass since the beginning. Based on your answer we recommend In10sity from our NXT series. In10sity is not for the faint of heart! Based on your answers you are an intermediate athlete, so you will find the training challenging and will reap the benefits. In10sity is all about building size and strength so it should be right in line with your stated goals. Based on your answers we recommend Inferno MaxShred at the 4 Alarm Level. As an advanced athlete, MaxShred performed at this level will prove to be a daunting task. Designed for maximum fat loss, MaxShred features tons of workouts that will boost your metabolism. There are also plenty of workouts that feature classic exercises to strike a balance between strength training, fat loss and overall athleticism. The Shred Swap options in our included X-Factor Meal Plan will help you to prioritize fat loss. Based on your answer we recommend Shockwave from our popular NXT series. As an advanced athlete, Shockwave will present many opportunities to challenge you at your ability level while maintaining your focus on your goal of burning bodyfat. Based on your answer we recommend CoreMax EST from our popular NXT series. As an Advanced athlete, CoreMax will present many opportunities to challenge you at your ability level. CoreMax features plenty of conditioning workouts as well as strength training workouts designed to keep your heart rate up and keep you focused on losing bodyfat. Based on your answer we recommend Lady Luck from our popular NXT series. As an advanced athlete, Lady Luck will present creative challenges at your ability level while allowing you to stay focused on your goal of burning bodyfat. Based on your answer we recommend Breaking Point from our popular NXT series. As an advanced athlete, Breaking Point will challenge you at your ability level while allowing you to stay focused on prioritizing burning fat while not abandoning making gains in size and strength. Based on your answer we recommend AX-2 Xtreme. As an advanced athlete AX-2 will present you with a physical challenge. AX-2 features plenty of fat burning workouts to help you get lean. By using 2 Shred Swaps from the included X-Factor Meal Plan you will be giving priority to losing bodyfat. Based on your answer we recommend Half Life from our popular NXT series. As an advanced athlete, Half Life will present challenges at your ability level while allowing you to stay focused on prioritizing burning fat while not abandoning making gains in size and strength. Based on your answer we recommend ATHLEAN NXT. As an advanced athlete NXT will present you with a non-stop physical challenges. Comprised of some of our best strength training workouts, NXT will put you on the path to reaching your goals. Based on your answer we recommend AX-2 Xtreme. As an intermediate athlete AX-2 will present you with a physical challenge. AX-2 features plenty of fat burning workouts to help you get lean. By using 1 Shred Swap out from the included X-Factor Meal Plan you will shift focus to losing bodyfat. Based on your answer we recommend AX-2 Xtreme. As an advanced athlete AX-2 will present you with a physical challenge. AX-2 features plenty of strength training workouts to help you add size and strength. AX-2 also features regular conditioning workouts to help burn fat making it the perfect 1-2 combo of gaining lean mass while getting lean. Based on your answer we recommend AX-2 Xtreme. 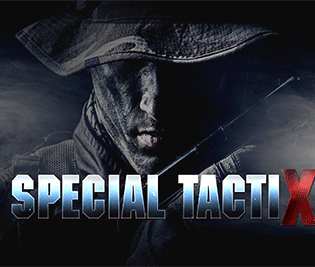 As an advanced athlete AX-2 will present you with a physical challenge. AX-2 features plenty of strength training workouts to help you add size and strength. By using 1 Extreme Swap from the included X-Factor Meal Plan you will be giving preference to gaining size. Based on your answer we recommend Ultimate Arms. Don't let the name fool you, Ultimate Arms is more than just a program for big arms! In fact our included Apex Leg Training is some of the most intense training we offer. 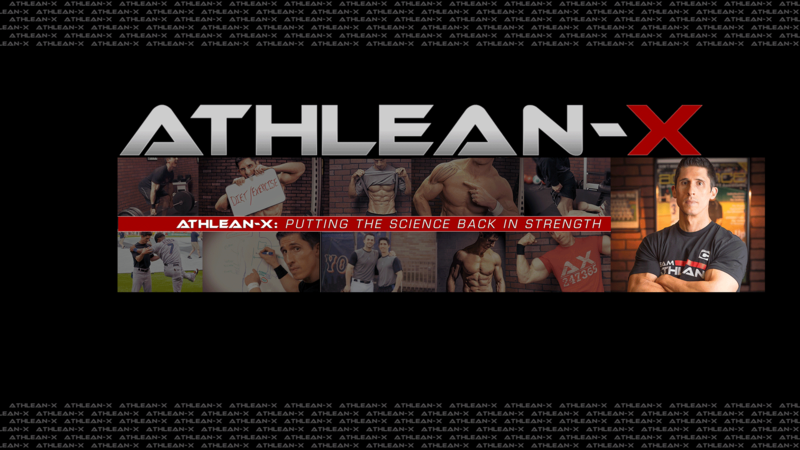 Ultimate Arms is a hidden jewel in the ATHLEAN-X Arsenal of programs and it doesn't come up short on results!. As an advanced athlete you are eligible to give Ultimate Arms a go and get the ultimate results. Based on your answer we recommend AX-2 Xtreme. As an advanced athlete AX-2 will present you with a physical challenge. AX-2 features plenty of strength training workouts to help you add size and strength. By using 2 Extreme Swaps from the included X-Factor Meal Plan you will be even more focused on gaining size. Based on your answer we recommend you do Inferno MaxSize. As an advanced athlete, MaxSize was written with you in mind. MaxSize features grueling strength training workouts that push you beyond your breaking point, forcing muscle growth. By using 1 Extreme Swap out from the included X-Factor Meal Plan you will be even more focused on gaining size. Based on your answer we recommend In10sity from our NXT series. In10sity is not for the faint of heart! Based on your answers you are an intermediate athlete, so you will find the training challenging. In10sity is all about building size and strength so it should be right in line with your stated goals. Based on your answer we recommend Anabolix from our NXT series. With a focus on size and strength Anabolix is perfect for the advanced athlete looking to put on some lean muscle. Based on your answer we recommend you do Inferno MaxSize. As an advanced athlete, MaxSize was written with you in mind. MaxSize features grueling strength training workouts that push you beyond your breaking point, forcing muscle growth. By using 2 Extreme Swaps from the included X-Factor Meal Plan you will prioritize gaining size. Based on your answers we recommend Inferno MaxShred at the 5 Alarm Level. MaxShred performed at this level will prove nearly impossible! However as an elite level athlete you should be eager to accept the challenge. Designed for maximum fat loss, MaxShred features tons of workouts that boost your metabolism. There are also plenty of workouts that feature classic exercises to strike a balance between strength training, fat loss and overall athleticism. The Shred options in our included X-Factor Meal Plan will help you to prioritize fat loss. Based on your answer we recommend ATHLEAN NXT. As an elite level athlete NXT will still present you with challenges while uncovering areas for growth. Comprised of some of our best strength training workouts, NXT will move you further towards reaching your goals. Based on your answer we recommend you do Inferno MaxSize. As an elite level athlete, MaxSize was written with you in mind. MaxSize features grueling strength training workouts that push you beyond your breaking point, forcing muscle growth. By working off of your 10 rep max, MaxSize is able to scale towards any athlete's ability ensuring the suffering is shared by all! Based on your answer we recommend ATHLEAN NXT. As an elite athlete NXT will present you with a non-stop physical challenges. Comprised of some of our best strength training workouts, NXT will put you on the path to reaching your goals. 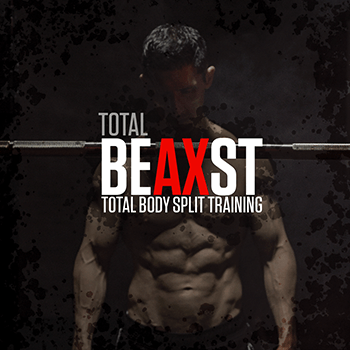 Since you’ve completed Max Size we think TOTAL BEAXST would be a great next step for your training. TOTAL BEAXST uses total body split programming to train strength as well as dedicated days for training explosive power and athleticism. Athletes who use TOTAL BEAXST can expect to see improvements in overall muscle mass as well as an increase in performance. TOTAL BEAXST is scalable towards any athlete's ability ensuring everyone from beginner to advanced can move towards that enviable goal of being a total Beast! Note: these checkboxes do not reflect or change the display of any choice may have been selected during the quiz. WHICH NXT PROGRAMS HAVE YOU COMPLETED? Are you interested in a program designed specifically for women? This Total Body Split Program will pack on size and strength while building explosive power and athleticism! Are you interested in a program designed specifically designed to help prepare you for a physical readiness exam? Given your body fat percentage it's recommended that you focus on losing fat before focusing on any specific goals. Would you be interested in our fat burning program? You already own XERO, Stay tuned XERO-2 is coming. All of our other training programs do require some equipment. Would you be interested in a program that requires absolutely no equipment whatsoever? All of our other training programs do require some equipment. 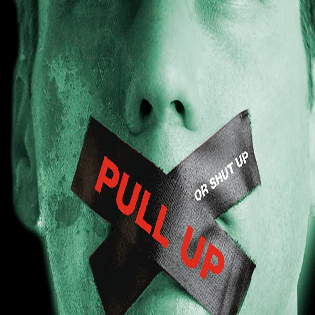 Based on your answer on the push up, pull up questions it appears you may have a serious strength imbalance. Would you be interested in a program that will focus on building your strength on pull ups to help you balance your upper body strength? If you're still struggling with fat loss after completing MaxShred you can repeat it at a higher level or consider resetting your focus to adding lean muscle which will help you improve overall body composition and burn additional fat. LET ME ADJUST MY FOCUS. If you've completed AX1 with TNT you are no longer a Novice and should consider resetting your experience level to something more appropriate such as intermediate. LET ME ADJUST MY EXPERIENCE. If you still you're still struggling with Fat Loss after completing CoreMax EST you should reset your focus to adding muscle which may help you improve overall body composition and burn additional fat. If you still you're still struggling with Fat Loss after completing Lady Luck you should reset your focus to adding muscle which will help you improve overall body composition and burn additional fat. If you've completed NXT consider focusing on specialized training such as getting shredded or adding even more muscle. If you've completed Ultimate Arms you are no longer an Intermediate level and should consider resetting your experience level to Advanced.